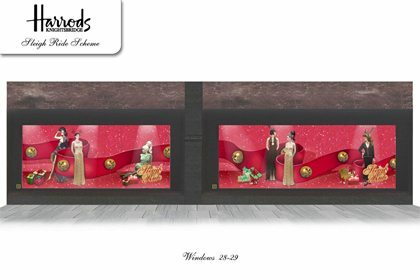 Prop Studios were commissioned by Harrods to design, produce and install all 52 windows just in time for Christmas. 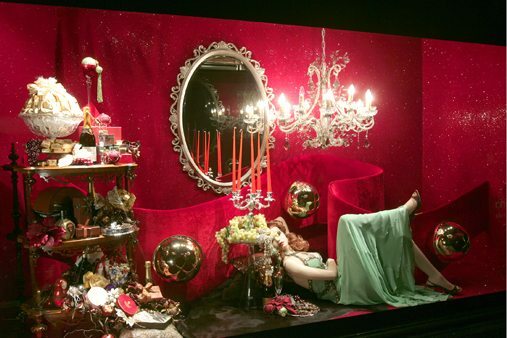 The design was to be high-end, with luxurious finishes and to incorporate Harrods branding. 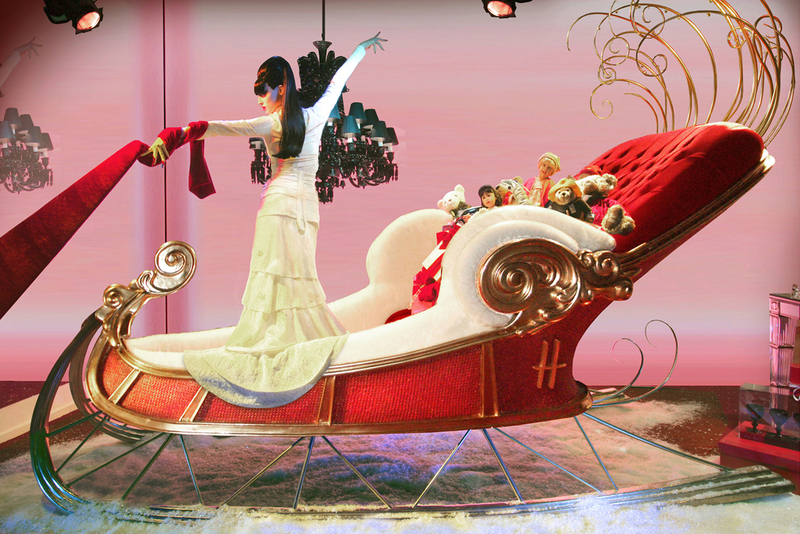 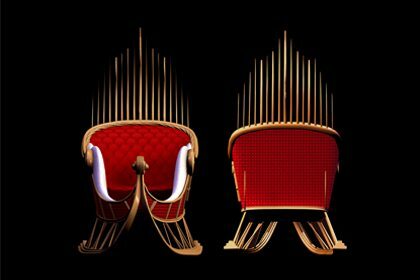 Harrods iconic Christmas Windows are internationally renowned. 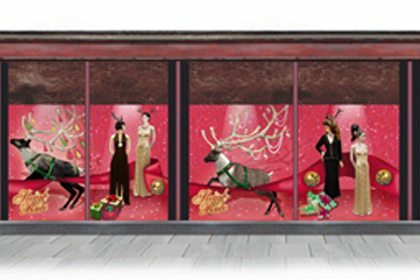 Our award winning scheme showcased this luxury brand’s unique identity. 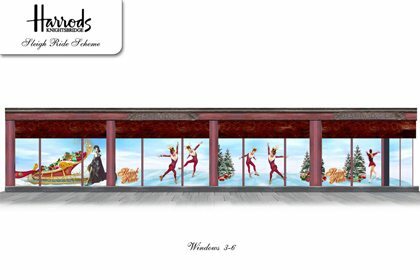 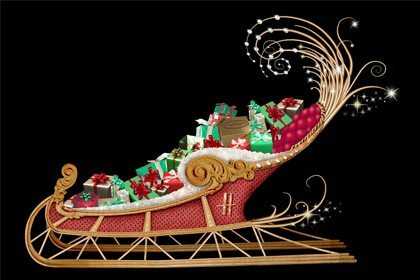 The team designed a scheme that included a 4 meter long sleigh with Harrods branding. 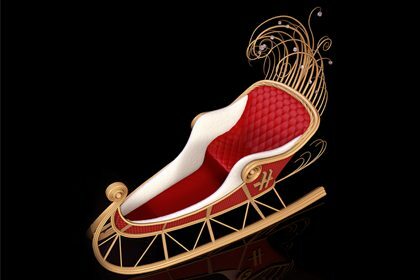 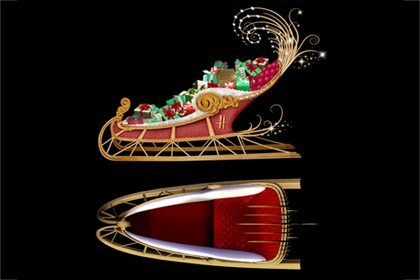 The sleighs were made out of fibreglass with metal and fabric work at our in-house production facility. 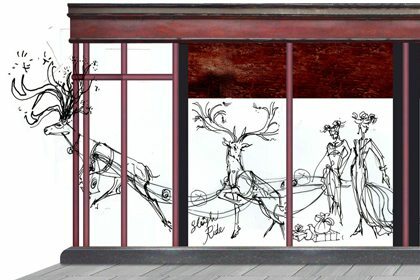 The bespoke scheme displayed giant reins flowing through the windows to create a dynamic and engaging spectacle for customers. 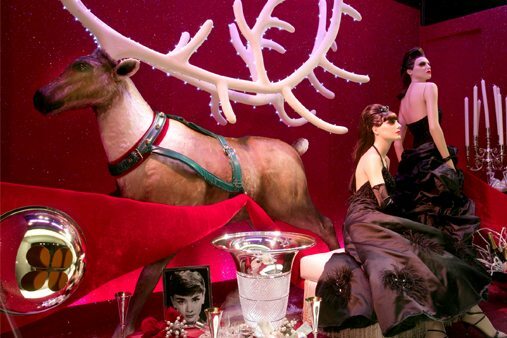 Traditional elements were maintained by 7 life-size reindeer which were carved in poly then covered in airbrushed fur, with huge antlers. 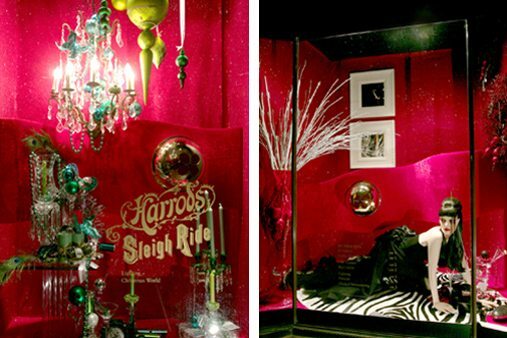 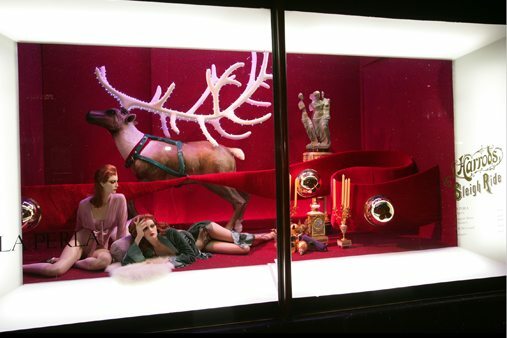 Harrods window display won the highly acclaimed RVM ‘Best Christmas Windows Award’.